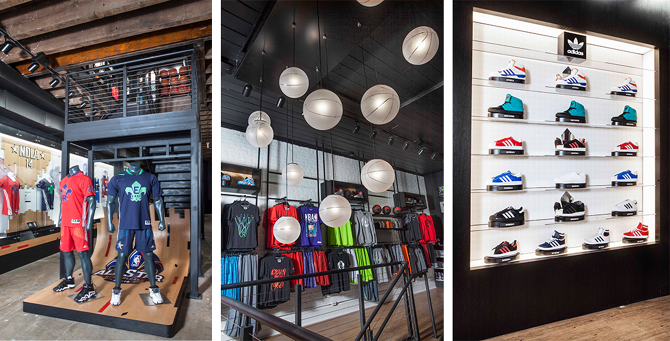 For All Star Weekend 2014, adidas tasked us to concept and design a pop-up retail experience. 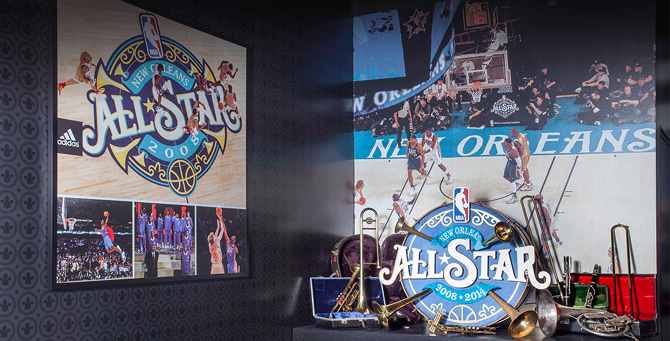 The store was located in the French Quarter, in New Orleans. The hashtag, #adidasinthequarter marked where social media could check in while they were checking out what adidas had to offer for this years event. 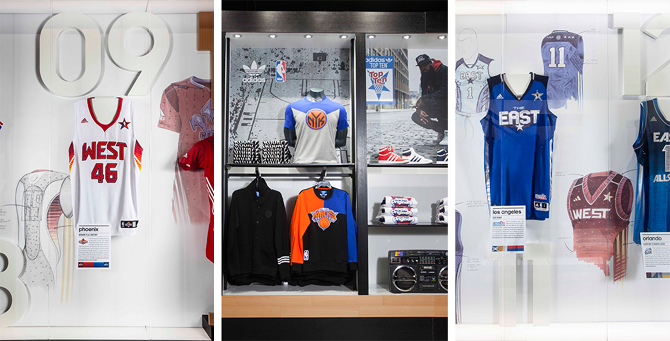 For 2014, adidas wanted to highlight the longtime relationship between adidas and the NBA. The store featured a bright East vs West entrance. Followed by a classic heritage dimensional display that pulled various cultural significant objects into one installation. 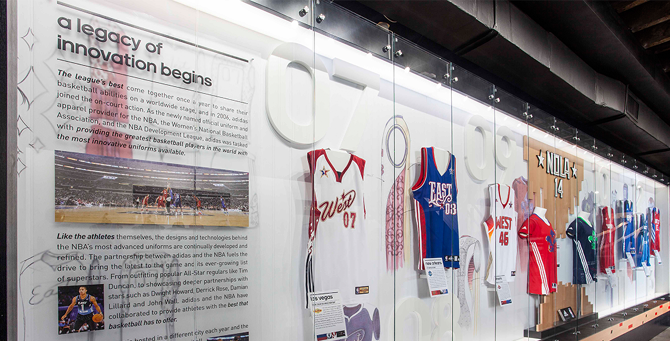 There was a highlight wall that depicted the jersey evolution through the years of the partnership. 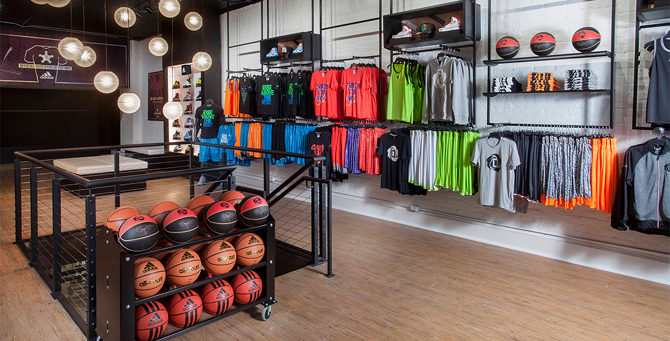 Upstairs housed more merchandise to shop and try on new gear. 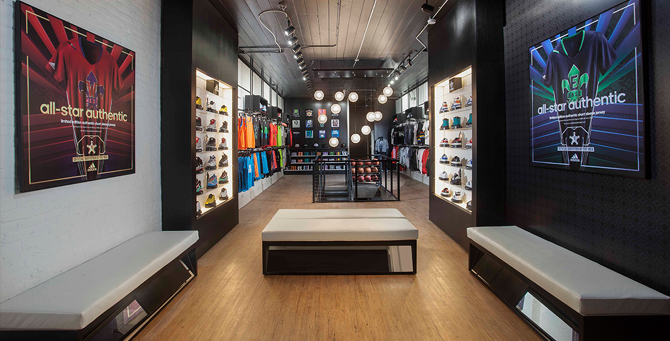 I worked closely with both Creative and Art Directors to concept and render every aspect of the store. I helped with producing the files needed for various vendors, building large format graphics and releasing the pieces needed for production.